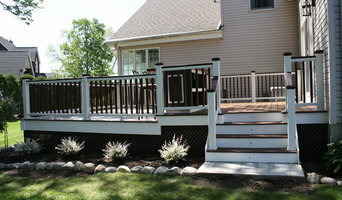 Monk’s Home Improvements specializes in maintaining and improving your home. It is our goal to be your partner in maintaining your home over the years. Everyone here at Monk’s is more than just an employee. We are also home owners who understand the challenges and joys of maintaining a home. 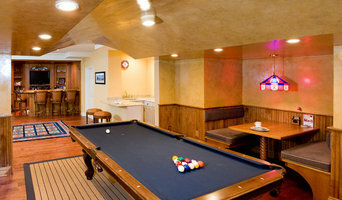 We understand how to balance your family’s privacy and convenience with the reality of having work done in your home. We have been honored to be invited into hundreds of homes across northern New Jersey to meet customers and their families. Below we have galleries of the work we have completed over the years. The Somerset Hills HandyMan & Co is a home remodeling & repair firm in Bernardsville, New Jersey. They pride themselves on the ability to rethink a design to fit a realistic budget, deliver it on time, and instill a level of quality that will be apparent many years form now. Shep Greene is the owner and founder of The Somerset Hills HandyMan & Co. After graduating from Colgate University, Shep started work at CBS News as a writer-producer. He became a marketing executive at AT&T, then a sales executive for 3 start up companies. Shep didn't originally set out to be a builder, but after spending long hours fixing up his 1700's farmhouse style home in southern Connecticut, he decided to make a change and launched The Somerset Hills HandyMan & Co. in 2001. Whether renovating old homes, adding on or repairing, Shep Greene and his team use green building practices wherever possible to preserve old houses and to construct environmentally friendly, energy efficient modern homes that are healthy new spaces with greater market value. They select building materials that are manufactured from renewable resources and don't pollute your home's internal air quality, and their projects use sustainable and recyclable materials. Their clients love the approach and see the value in being diligent about using good insulation, energy efficient appliances, windows & doors. Somerset County's Trusted Design-Build Firm 4 X Best of Houzz Winner! Homefront Design Studio -- committed to quality service, to designing creative spaces and to providing our customers with exceptional cabinetry and installations for your bathroom renovation, kitchen renovation or when wanting to change the look of a favorite room in your house. Realizing that your project is special to you we'll work hard to provide you with the time that your project requires. Designing your space is a process, one that takes time to work through, conceptualize and continually refine until it meets your expectations. Projects are never looked at as one time events. Avoid the stress of high pressure sales tactics. Schedule some time to visit with us and let's discuss your project. We believe you will be glad you did. 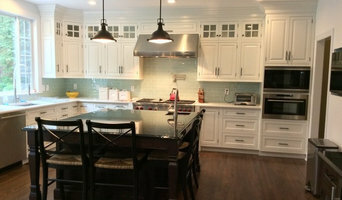 Wydian Kitchens and Design offers full service Kitchen Remodeling and Design for your home. We also do bathrooms, laundry rooms, bars, libraries, offices, mud rooms and even custom closets. If your remodeling or building new we can help with all rooms of the house with cabinets. Wydian also specializes in space planning. With 24 years of experience Wydian Kitchens can easily help a client navigate the process of putting together a plan and executing their project. Please call for an appointment. One Week Bathroom stems from of the idea that your bathroom renovation should be a quick, painless and enjoyable process. Every bathroom is different and unique. To be sure your bathroom meets your expectations, we have outlined our One Week Bathroom Renovation Process to help keep you informed of the steps involved in making your bathroom your personal sanctuary. Our team of superb design and construction professionals will work to make your dream bathroom a reality. We are a division of Hofmann Design Build, which gives us the depth and skill to manage the creative process, the budget, and the schedule. Hofmann’s expertise and our designer's creativity makes us a team that can reach beyond the ordinary and create spaces that are the embodiment of you and a perfect fit for your family. At Armstrong Interiors, our mission is to have every customer be our best reference and every job to be our crowning achievement. No matter the scale of your project, we promise to take it as seriously as you do. While we are always interested in new customers, we strive for and are gratified by repeat customers. We will make every effort to satisfy our customers, starting long before the actual project itself. We will always: Return your phone calls Give you a prompt quotation for the intended work Give you our honest opinion on the value of the work you are planning and any cost-saving or value-added elements we feel you might desire. Tell you when we are not suited for you project, and try to tell you who is Communicate about the status of your project Advise you beforehand of additional costs for items you may request Lastly, and most importantly,we will treat your home like our own. We, at Washington Valley Cabinet Shop, are a full service cabinet store carrying a wide range of stock, semi-custom and fully-custom cabinetry in New Jersey. Initially started as a small custom shop, our dedication and hard work has helped us come a long way to become one of the reputed names in the industry. We have the ability to design all types of cabinets and work with leading architects to create the cabinetry element of the project. We perform the majority of the work ourselves and use the same sub-contractors for every project to ensure a smooth running job. Located in the heart of Martinsville, New Jersey, our cabinet shop provides customers with superior quality products and timely services. We have always endeavored to deliver unique products fabricated through the artistry of our dedicated staff. We work in close association with interior designers, architects and contractors to create stylish and functional cabinets for your office, baths, entertainment rooms, kitchens etc. Our goal towards all our projects is the same – the final product we deliver is within budget, on time, and built to specifications. Our proven organized practices coinciding with attention to detail and commitment to quality sets us apart. From a simple shelf to the most lavish cabinets, our cabinet shop provides them all. While working with our company, you can be assured that we will never compromise with the quality of the materials used. Hence, your cabinets will be durable and shine like new for many years.